Live off the tourist trail in an area packed with character at Comforts of Home - 19 Avenue du Général Leclerc. Join locals for lunch at Le Petit Baigneur, and dig into some authentic French home cooking with friends. Wander along the pedestrianised Rue Daguerre, and pick up gourmet treats from charming market stalls along the way. Sit on the terrace at Café Daguerre, which is based on the corner and the perfect spot to people-watch. On weekends, you can wake up late and then jump on the metro to explore the city – take a leisurely walk to Le Jardin du Luxembourg and enjoy a picnic in one of Paris’s most beautiful parks. 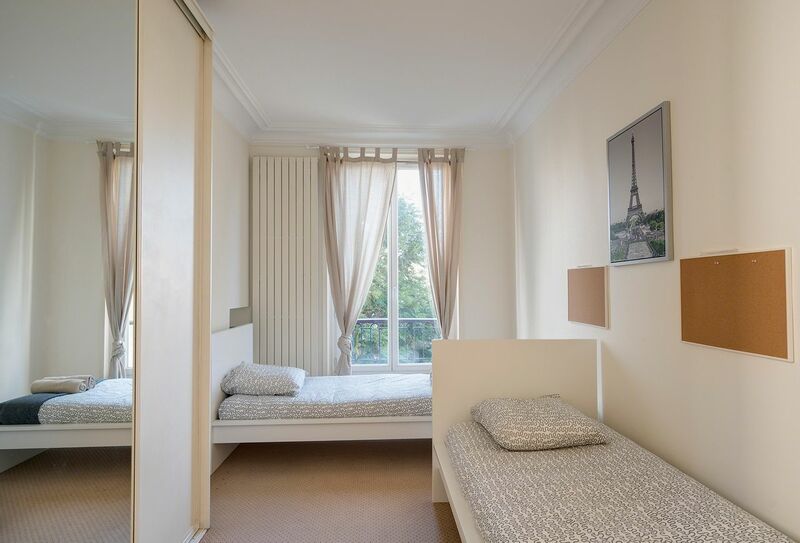 You’re never far from a metro station in Paris at Comforts of Home - 19 Avenue du Général Leclerc, and Mouton-Duvernet is a minute from your door. Walk four minutes to Denfert-Rochereau station, where the RER and another metro line will widen your options. Great transport links make it simple to reach all of Paris’s colleges and universities – you can get to The American University of Paris, Université Paris-Sorbonne and Boston University Paris Campus in under 30 minutes by metro. If you’ve got any questions about your new neighbourhood, you can take advantage of the friendly English-speaking team back home. The in-house staff will be happy to help if you have any emergency maintenance issues too, whatever the time of day. 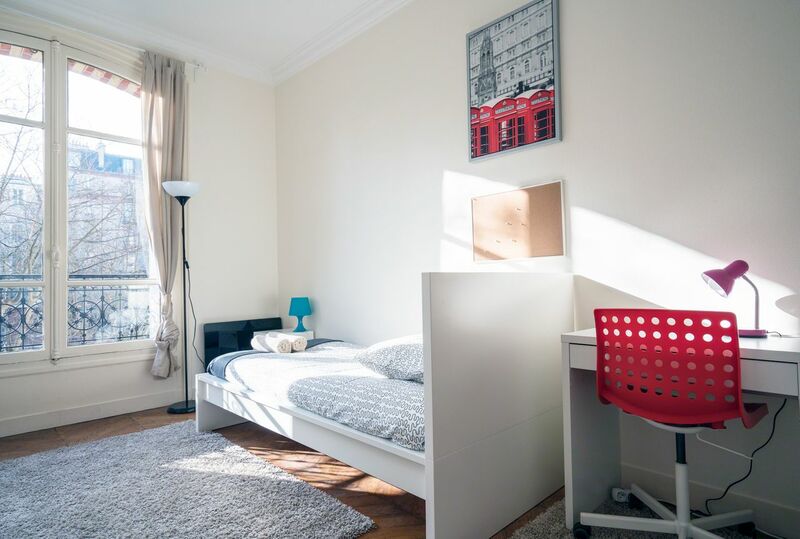 You’ll settle in fast in your fully furnished room, which you can have all to yourself or share with a friend. After a busy day tackling your Paris bucketlist, you can rest up on your comfy single bed. When hunger strikes, head to your fully equipped kitchen, where you’ll find everything you need to make yourself a snack. Invite friends for dinner and sit and chat together, and swap tips on the best French bistros you’ve found in the local area. Save time for studying and use the monthly cleaning service to help keep your home in order. There’s a washing machine and clothes drying rack to use when you’ve run out of clean shirts. You won’t have to worry about unexpected bills either, because your rent is all-inclusive with your utilities, renter’s insurance and Wi-Fi included. Wir haben leider keine Unterkunft gefunden, die deinen Wünschen entspricht.Alle Mehrbettzimmer in Comforts of Home - 19 Avenue du Général Leclerc ansehen. 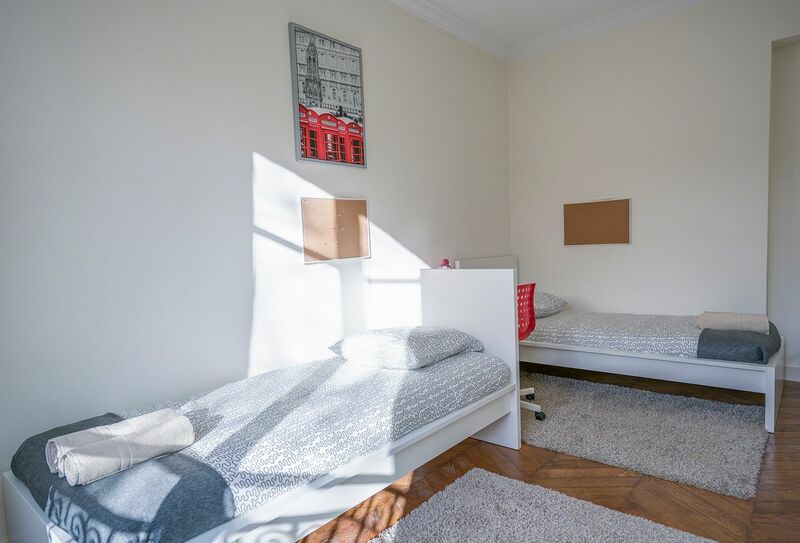 Wir haben leider keine Unterkunft gefunden, die deinen Wünschen entspricht.Alle Privatzimmer in Comforts of Home - 19 Avenue du Général Leclerc ansehen.